Have you ever asked your parents what you were like as a kid? Your kids are going to ask you that same question one day. Here's a great way to document each year of your child's life. And best of all, it's written by your children. We welcome your comments! Please share any New Year's traditions you have and/or what you think of this one. Happy New Year from Family Web TV. To throw away or to store in a drawer. What do you do with your child's artwork? How about putting it on full display so you can enjoy it for years to come. Want to be on Family Web TV? Just reach out to Mark at familywebtv@gmail.com and share your story. Then, maybe you can be on the next webisode of Family Web TV! Parenting can be challenging especially when it comes to talking with your children about sensitive issues. Toby Stark is the Executive Director at Chaucie's Place in Carmel, IN and she provides us tips on how to have difficult conversations with the ones we love the most. How do you cheer up a sad child? In a desperate plea for viewer involvement, Mark is brought to tears - but Mr. Bear is there to lift his mood. If you have a great parenting tip you want to share with others, reach out to Mark at familywebtv@gmail.com! Who loves technology? We all do but there are times that require a self-imposed blackout. And who benefits from a technology blackout? The entire family. Wanna be on FWTV? 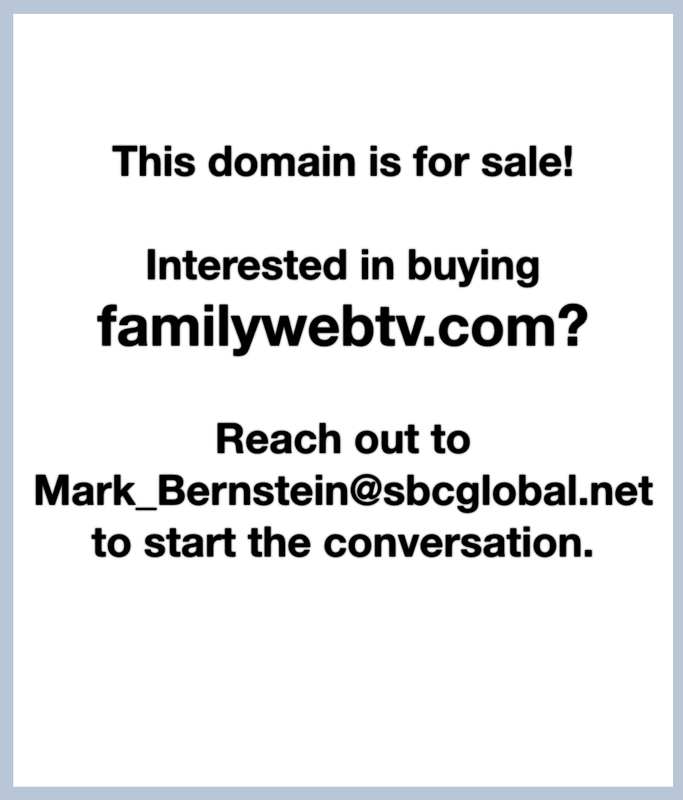 Just send Mark at email at familywebtv@gmail.com and share your idea with him. Then maybe YOU can be on the next Family Web TV!